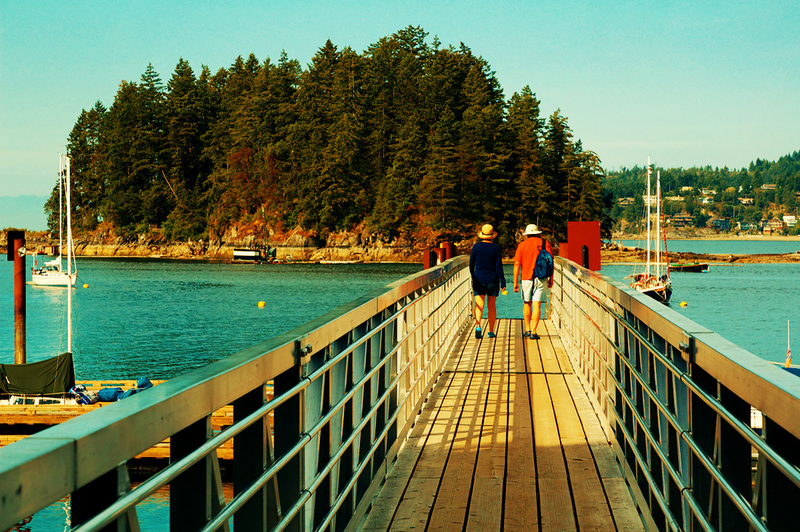 This is the ramp to the floats at Plumper Cove, Keats Island. This couple is heading to their tiny dinghy for a row back to their Kelt 760. You can see part of Madsu under her boom tent, lower left frame. 17 Jul This entry was written by bigsnit, posted on July 17, 2009 at 10:14 am, filed under Madsu and tagged Keat's Island. Bookmark the permalink. Follow any comments here with the RSS feed for this post. Post a comment or leave a trackback: Trackback URL. Older: Do These Bags Make Me Look Blue ?